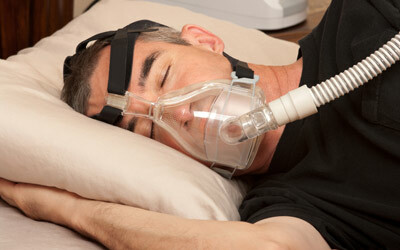 It is not uncommon to sleep apnea sufferers in Toronto to face problems while using CPAP machines for the first time. In fact, getting used to the process of sleeping every day with a mask takes a lot of effort. Thankfully, CPAP technology is improving every day. Machines are becoming smaller, masks of varying shapes and sizes are available and there will be continual support from your DME technician and sleep therapist to allow you to overcome any difficulties you may face during the initial stages of therapy. We will continue from the last article, where we looked at some of the common problems that users face while using CPAP machines. If you have been sleep deprived over a prolonged period of time, then ideally, you should fall asleep like a baby with a CPAP machine. But some users experience claustrophobia or nasal congestion (read Part 1) while using the machine. Others just can’t fall asleep. RAMP: Most CPAP machines these days have an in-built RAMP feature which allows you to get used to the increased air pressure. It starts the machine with a lower pressure than what is prescribed to you and then slowly ramps up to full pressure allowing you to get used to the machine while you fall asleep. Do not make any changes to your machine without speaking to your healthcare professional. APAP: An APAP or Automatic Positive Airway Pressure therapy device is ideal for anyone who needs variable pressure throughout the night. It automatically adjusts pressure according to the unique breathing needs of the individual. EPR: Latest CPAP machines have a Expiratory Pressure Relief (EPR) feature which reduces the pressure when the person exhales. This makes the airflow seem more natural. Speak to your healthcare provider if you can switch to a CPAP device with EPR feature. Some people feel bloated when they first start CPAP therapy. Here are some solutions if you are experiencing bloating. People who are new to sleep apnea therapy often swallow air rather than breathing normally. This may cause bloating. Try to breathe normally and seek guidance if need be. Sometimes, people with varying air pressure requirements experience bloating. An APAP machine automatically adjusts and varies air pressure according to the unique breathing requirements of the person. Speak to your healthcare provider about using an APAP machine. While most CPAP masks are designed with air hoses that do not interfere with the sleeping position, this problem may be faced by new users as they get accustomed to the device. Specialized Pillows: You can choose a CPAP Max Pillow which has cutouts on either side or tube tethers to secure the tube in place. This reduces the drag on the mask and secures it in place. Other options are beaded pillows that changes shape according to the contours of the head and the CPAP tubing. CPAP therapy can change your life for good. But it is crucial that you take time in selecting the right mask that works for you. It can be extremely frustrating as you get used to the device. Be patient and seek support from your Toronto healthcare professional.